Goto list of CHIA family members. | Goto first CHIA sub-tree. | Goto LIM Family tree | Goto TAN Family tree | Return to web Index Pg. (CHIA) Chia family "ji-hoe" formerly above the front door of Chia Hood Theam's house, at Rosedale in Killiney Rd. 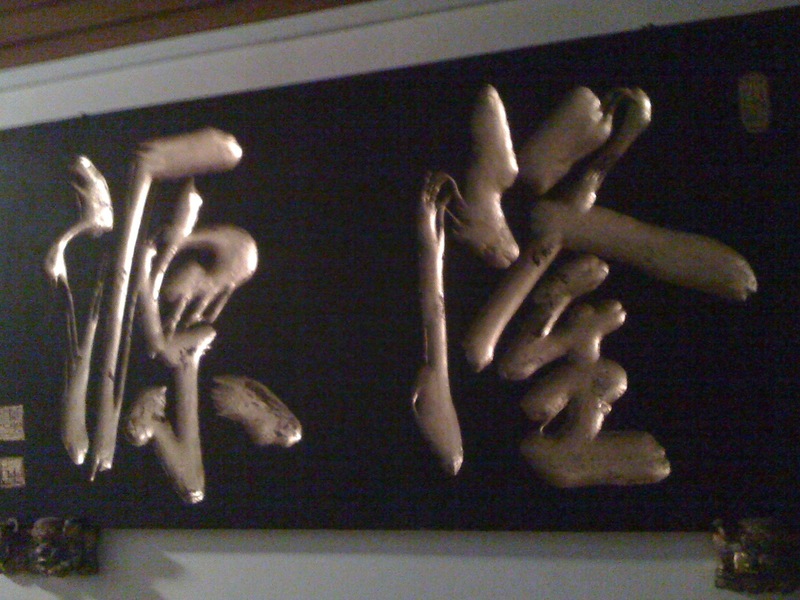 The 2 characters (Long Yuan) translates to "eternal, prosperous spring or source". Click here for copy of Chia Leong Chuan's gravestone which was exhumed from Bishan Park.